The blueberries are ready in Pennsylvania! We spend hours picking, cleaning, tasting and baking these little beauties. I've always been a fan of berry picking. And baking. 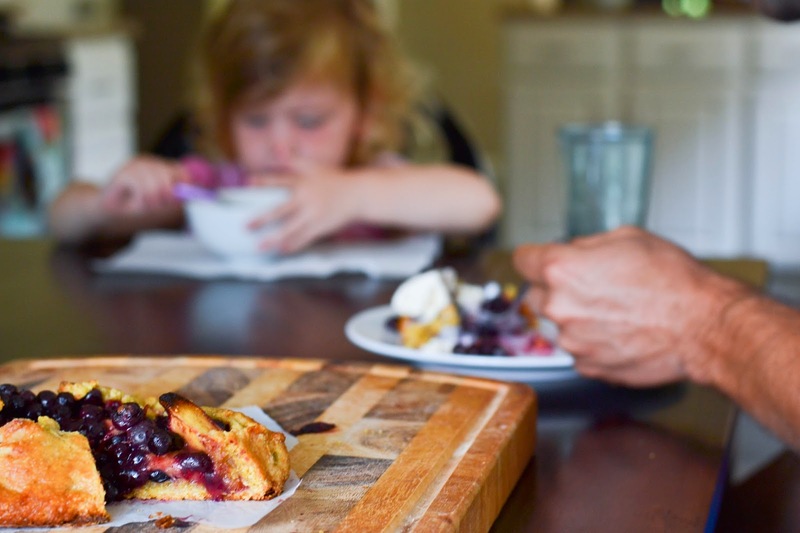 I had a few ripe peaches and quarts of fresh blueberries, so after a few delicious pins, I decided to make a tart- basically a short cut pie, in my case. I've seen it pinned as a galette, but I'm not really fancy enough for "galette". 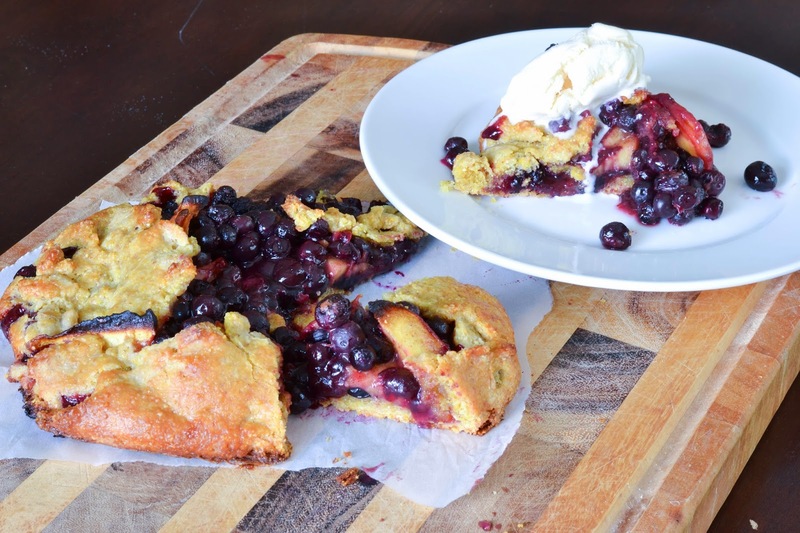 Thus, it's a rustic tart. 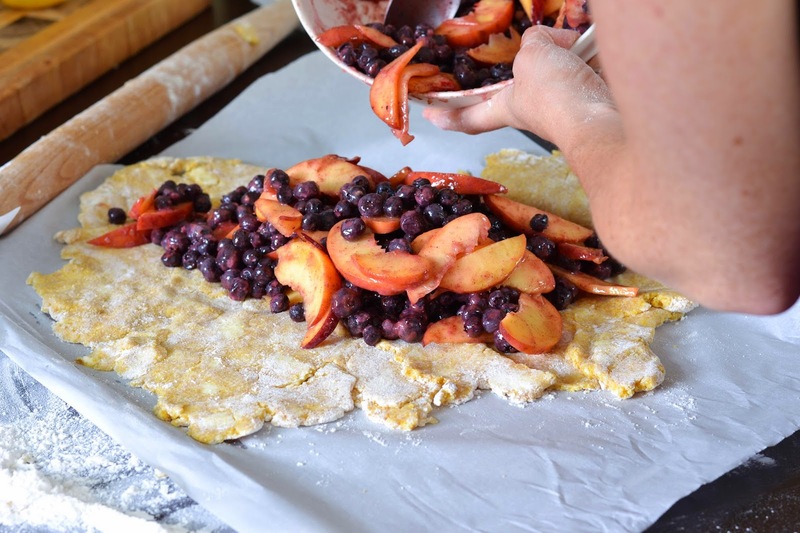 A pie crust that's slapped onto a cookie sheet, filled with fruit, and edges folded over to partly cover the top. Easy, peasy. Combine cornmeal and flour with sugar and nutmeg. Using a pastry cutter, cut in cold butter cubes until flour mixture resembles small peas. Slowly, 1 tblsp at a time, add cold water until a dough begins to form. Shape dough into a disc. Wrap with plastic wrap and chill for at least 2 hours (or overnight). 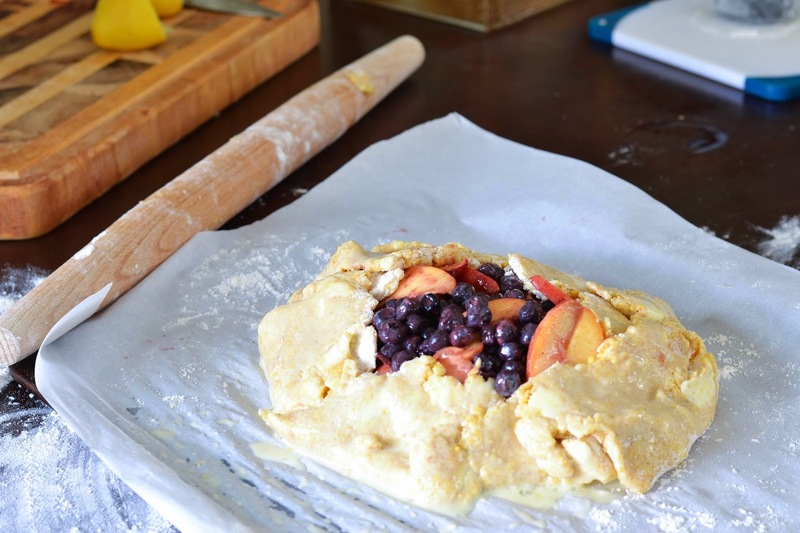 When chilled, preheat oven to 400 F. Roll out into circle, fill with fruit. Slice peaches (I left the skins on). 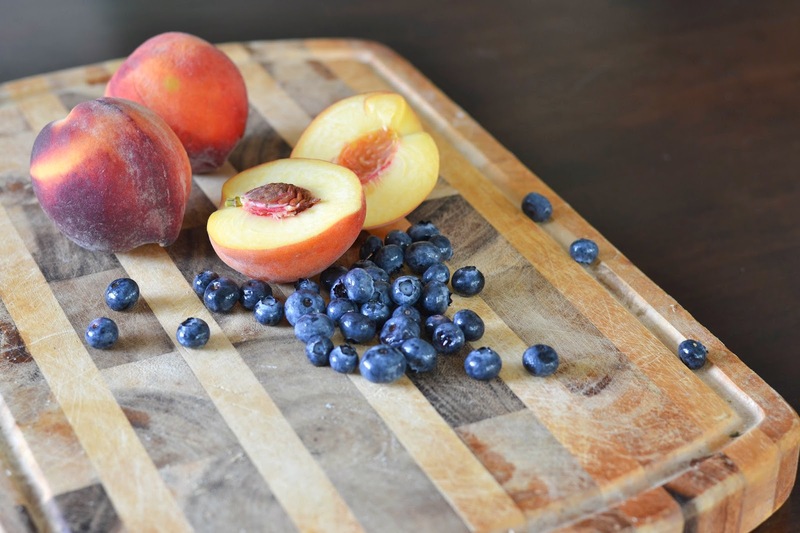 Toss peaches and blueberries with lemon juice, sugar, cinnamon. Add filling to the center of the rolled dough, leaving at least a two inch border. 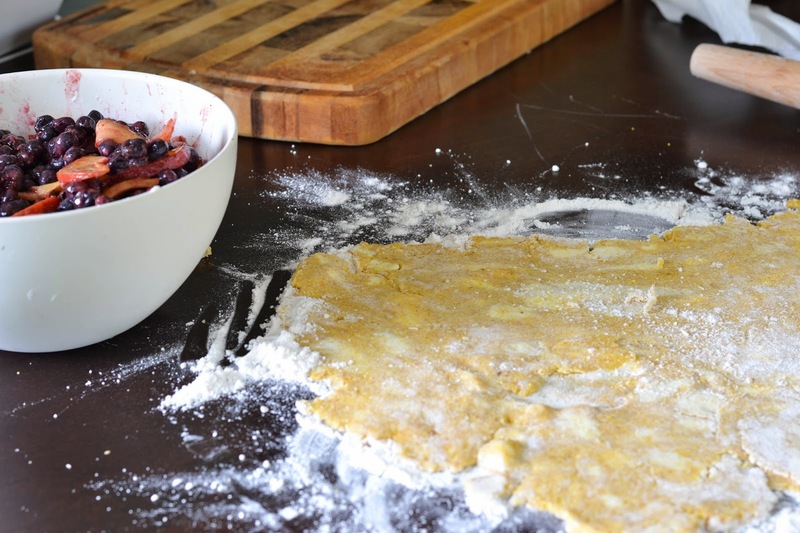 Gently fold the excess dough over the center of the filling as far as it will extend. Brush crust with egg wash (1 egg, 2 tblsp whole milk), sprinkle with sugar. Bake at 400F for 35-40 minutes, until filling is bubbly and crust is golden brown. Recipe from this site, I adjusted it (didn't have thyme) slightly.